Thin, light and epic; Apple’s self-evaluation of the Apple iPad Pro and that catch tag might not be too far from the truth. Indeed, just with many other of Apple's devices, the philosophy has remained the same with premium build quality, simplicity at core, and functionality. There are little words needed to describe the look with the tablet featuring similar features as the current iPhone range. There are three colors to choose from; silver, gold and space grey. The next phase of model separation is based on the user wanting just a WiFi cable model which comes with either 32 or 128 GB or a WiFi + Cellular model with 128 GB of storage. The 12.9 inch LED-backlit Retina display features an anti-reflective coating. Screen clarity and brightness are superb and the anti-reflective coating certainly aids with outdoor usage. At the core of the device is an A9X chip with 64-bit architecture and a M9 motion coprocessor. The iSight Camera is rated at 8 MP and features a f/2.4 aperture and a five-element lens. On the other hand, the front facing FaceTime HD camera is a 1.2 MP, f/2.2 aperture camera. 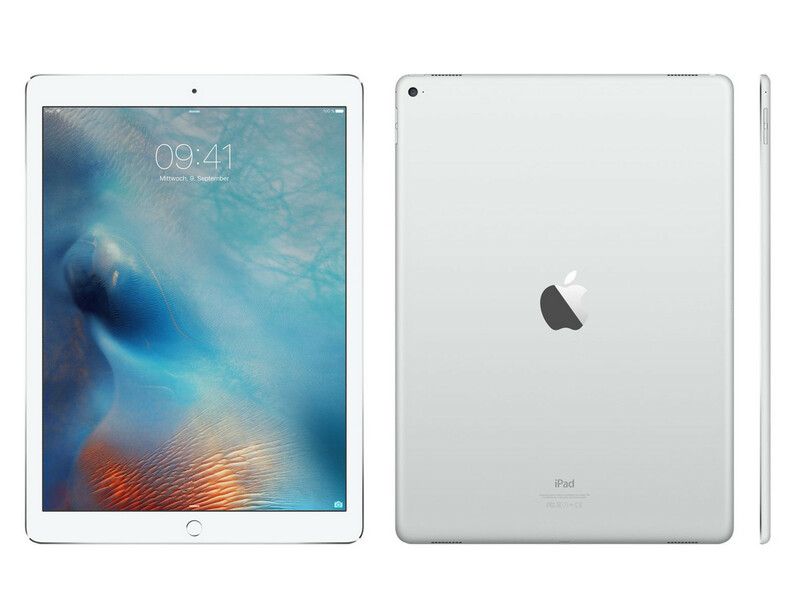 The Apple iPad Pro comes with iOS 9 and is equipped with a built-in 38.5 Wh lithium-polymer battery. Big – Bigger – iPad Pro! The iPad Air is huge and for the first time has the stylus functionality. The Apple Pencil is mainly designed for creative users. The Californians have also equipped the tablet with the fastest SoC you can currently get in a tablet. Our review will show which customer group the iPad Pro is designed for. I need you to pause for a moment. Before we start talking price, it might be appropriate to discuss the expected uses for this caliber of tablet. The iPad Pro is not the typical tablet you’ll be lugging with you everywhere you go. It is more portable than the 18-inch Samsung Galaxy View, but it is my opinion that this device should be thought of as a laptop. Mind you, it is not like a laptop in terms of its capabilities, no, it is like a laptop in that you’ll end up using it at a table or desk, then packing it into a bag if you are going somewhere. The Apple iPad Pro is a stunning machine. It looks fantastic and, once you get over just how big it is, the size becomes a benefit, with its immersive screen and a giant playground of real estate for apps to exploit. Even though the iPad Pro 12.9 is the most expensive iPad in the range, it’s beaten by its smaller, cheaper brother in almost every aspect. 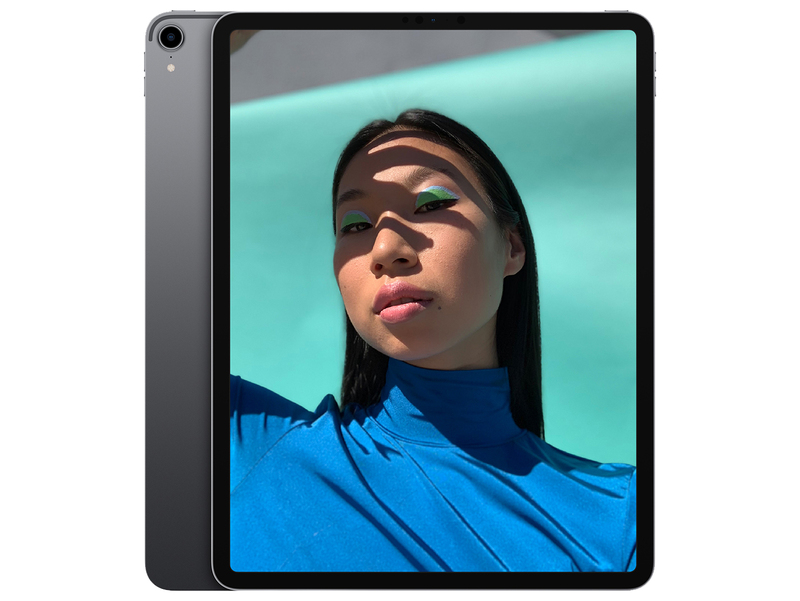 The iPad Pro 9.7 has improved screen technology, more colour options and upgraded cameras while still featuring the four-speaker setup and Smart Connector that users of the larger iPad Pro love. It’s a confusing move by Apple, especially as the larger variant only went on sale just before Christmas. We’ll update this comparison and verdict with more information once we’ve spent a bit more time with the new iPad. Certainly, it’s worth checking out the size and weight to see if they suit you. If not, it may be worth waiting to see what Apple's March 21 announcement holds in store. It's rumoured the company will unleash a smaller 9.7in iPad Pro and that's a product that will undoubtedly be better suited to carrying around in your rucksack. But if the size of this 12.9in monster appeals, it's a tablet that's very hard not to like. What’s the difference between the 9.7 and 12.9-inch iPad Pro? We can't say definitively which tablet is better before we've had a chance to properly benchmark and test out the newcomer. The lower price is certainly tempting, and while there are rumblings - and grumblings - about the smaller amount of RAM, there's a good reason why Apple doesn't disclose such figures: they're irrelevant to the average buyer. As long as it performs well for real-world tasks, it's sure to be another winner. The iPad Pro isn't a laptop replacement in the way power users will hope. But it is, by some distance, one of the most brilliant tablets I've ever used. And in the following weeks, it's not faded into the background, relegated by the fact my phone can do everything so well. It's stayed front and centre, a real alternative to notepads and movie watching alike. If you decide that the iPad Pro is for you then I'd recommend opting for the 128GB model. It’s significantly more expensive, but it’s likely that you’ll need the extra storage at some point. Whether you go for the cellular option will boil down to your needs. The other product to consider is the Microsoft Surface Pro 4. It’s similarly priced and more likely to be a better fit for those comfortable with Windows and looking to replace an ageing, chunky laptop with something more portable. Apple iPad Pro 9.7-inch vs Apple iPad Pro 12.9-inch - which should you buy? Most people will pick an iPad Pro based on the screen size. If you want a large device, you'll want the 12.9-inch. For those on the fence, the new iPad Pro 9.7-inch on paper has some enticing new features including the True Tone adapting display. The cameras are also superior on the 9.7-inch and you won't struggle as much to hold it up as a camera should you ever wish to do so. Both tablets support the Apple Pencil and have optional Smart Keyboards, so they'll both be fantastic productivity tools. The iPad Pro feels like Apple’s most specialised and niche iOS device to date. The public’s acceptance of this product may prove us wrong, but it feels unfinished as a potential laptop replacement. Plus it size makes it feel too ungainly for using typical tablet apps apart from specialised situations or if you have failing eyesight and thus benefit from the large screen. The iPad Pro has no competitors with as robust a software backing as iOS and hardware as dependable as Apple. On the apps front, for an artist - or a graphic designer or an illustrator of any sort, for that matter - no platform has as strong an offering as iOS. The Apple Pencil isn't perfect, but it's well worth the cash it costs. The iPad Pro has a set of features you might never use, but the the features you will use are well worth the cash you'll pay. The iPad Pro is a stunning machine. It looks fantastic and, once you get over just how big it is, the size becomes a benefit, with its immersive screen and giant playground of real estate for apps to exploit. Add Apple’s Smart Keyboard or a rival setup and you have a great laptop alternative, with a decent battery life and an unparalleled choice of many big-screen, touch-enabled apps. The Pencil adds a whole new dimension of usability and is an enjoyable peripheral to use. Overall, the iPad Pro is an incredibly good tablet. I’ve always liked the idea of a tablet, but for the most part I’ve been deeply dissatisfied with the implementations of tablets. With the iPad Air 2 review I really emphasized how a proper keyboard and a good stylus would really make the user experience much more compelling, and with the iPad Pro we’re finally starting to see movement towards the tablet that I’ve always wanted. At this time, I think that only the designers and artists would appreciate the “Pro” aspect of the iPad Pro. I really wanted the iPad Pro to work as my primary device, but it can’t do that just yet. For the iPad Pro to be in that position, there is a lot of work that needs to be done. Websites need to make their interfaces more touch friendly and mobile apps need to stop being crippled versions of their cloud counterparts. We also need apps like Final Cut Pro or the full version of Photoshop. You can argue that all of what I’ve said works well on Microsoft’s Surface Pro 4. And you’re absolutely right. But would you rather use a device that handles everything designed twenty years back really well, or are you willing to take a chance on a platform that will set the tone for the next twenty years. With the iPad Pro, I feel that Apple is doing just that- bringing its vision of the future of computing. The hardware is here already and I can’t wait to see what Apple shows at WWDC next year with iOS X. 80% Apple iPad Pro review: Back to the drawing board? As an laptop replacement for around the house, the iPad Pro fits the bill. It is fast, quick, and easy to use. Whether working on the sofa (if there's a coffee table), watching Netflix or Sky Go in bed, or sitting at a desk working on annotations with the Pencil, that extra screen real-estate looks great. When on the go the iPad Pro becomes a little more awkward. On the train we were overly conscious using it compared to a laptop, as they Smart Keyboard isn't as robust as we would like, but the angle of the keyboard does work in tight situations such as those fold-down tables from the back of seats. Apple's original iPad made the tablet a mainstream device, and for more than five years 9.7 inches was the largest diagonal iOS device available. Not anymore - we now have the iPad Pro, all 12.9 inches of it. Simply scaling up an iPad couldn't cut it though, Apple had to make some conceptual changes. These come in the form of two previously scorned accessories - a stylus and a keyboard - making the iPad Pro a device aimed at professionals on the go (aren't we all). Sure, Apple worked on OS features to make good use of the available screen real estate. Introduced with iOS 9.0, split-screen multitasking works intuitively and helps productivity, albeit in the one specific way Apple chose to execute it. Other than that, iOS on the Pro is very much like on the Air, only with homescreen icons spread further apart. If price is no object, the iPad Pro plus the Apple Pencil let you do more with Apple's tablet than ever before. Apple offers multiple sizes of iPhones, laptops, and iPods, so it makes total sense to expand the iPad lineup from two sizes to three, and with the Pencil, Apple’s given the 12.9-inch iPad a rightful claim on the name Pro. For me, it’s just not worth the considerable premium in price over an iPad Air 2 (which starts at $499 for 16GB) or my favorite model, the iPad mini 4 ($399). The Pencil is fabulous, but instead of shelling out $799 for the entry-level (32GB, Wi-Fi only) iPad Pro and another $99 for the Pencil, I could get a maxed out 128GB iPad mini 4 with cellular for $729 and have plenty of money left for all the fancy pens and notebooks my heart desires. That puts the iPad Pro in the same league as the MacBook Air ($899) and at the higher trims it even gets close to the base model MacBook Pro ($1299) – and here we come to the fundamental problem with the iPad Pro. If you’re spending much the same money, why would you buy this tablet instead of springing for a full computer? For the great speakers? For the huge touchscreen? For the awesome battery? All good reasons, to be sure … but to our mind, they don’t quite amount to enough. Given the limitations of iOS versus OSX and the bugs that have yet to be squashed on the Pro, we think most Apple shoppers would be better served either saving their money on a smaller iPad, or seeking the greater value of a MacBook. We’ll see if this conclusion holds up in part two of our iPad Pro review (as a final reminder, this review applies only to the tablet itself). It may well turn out that, in the case of the iPad Pro, the accessories make the tablet. If you do decide to buy the iPad Pro, you may notice that Apple's keyboard is nearly impossible to find at the time of publication – and may be tempted to get Logitech's Create keyboard cover instead. Despite its great (and backlit) keys, we don't recommend doing that, as the Logitech cover is heavier and makes it very difficult to remove the iPad when you want to use it in tablet mode. And if you leave the cover on for tablet mode (we're assuming that's what Logitech expects you to do), you just killed one of the iPad Pro's only killer features: its crazy-light weight (for its size) in tablet mode. Battery life is solid enough. In our video streaming test (with brightness set at 75 percent), the iPad Pro dropped 14 percent per hour. For comparison's sake, the Surface Book and Surface Pro 4 each dropped 9 percent per hour in the same test. The iPad Pro is not for someone like me. As a professional writer and editor, I found it frustrating to replace my trusty laptop with a cramped tablet keyboard (and no mouse!). Though iOS is better at multitasking than it used to be, I still missed desktop features like pinned tabs and a taskbar. So yeah, the iPad Pro is, in a way, little more than a larger iPad. If you're looking for a laptop replacement, this probably isn't it. Investing in an iPad Pro is not worth it seeing that it can’t pull out the same level of utility and productivity we get from traditional laptops, ultrabooks, or hybrids. It makes more sense to view the iPad Pro as a niche product – one made for digital artists and drawing enthusiasts or for professionals who need a large, portable, and beautiful display to show off their projects. That's the kind of folks who would best appreciate and make use of what the iPad Pro has to offer. 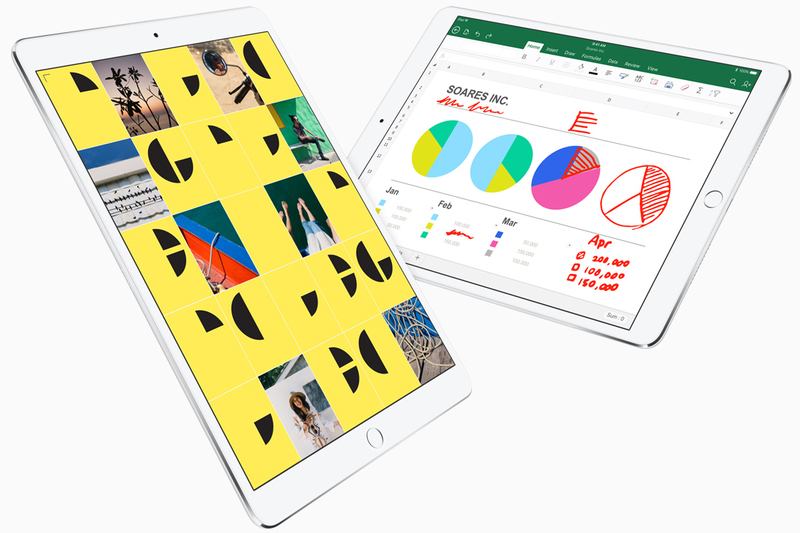 The iPad Pro is the natural choice if you want a tablet that can handle intensive office tasks and creative suites on the go, thanks to its spacious screen, impressive performance, precision control and all-day battery life. However, it's also very expensive, so if you simply want an entertainment device for carrying around, or something to edit your spreadsheets on the go, the Pro is almost certainly overkill. The iPad Pro is the best tablet Apple has ever made. If you’ve always thought the iPad Airs were too small, the iPad Pro will make you very happy. It’s quite thin and still relatively light. Its big screen makes creating, and consuming content more fun than ever. You already know it's big, and that it's powerful, but does the iPad Pro have what it takes to survive on the road as a true notebook replacement? Apple's 12.9-inch tablet is the biggest outing for iOS to-date, and just as we realized back when it was first announced, it's not only a huge deal for the Cupertino firm but a huge device period. The iPad Pro -- It's a laptop! It's a tablet! The iPad Pro is a breakthrough device. But I'm not yet sure what it's breaking through. It's the biggest, baddest, bestest iPad ever. So if you just want the ultimate iPad -- that's pretty much me -- you'll be happy. If you're looking to replace a laptop, however, the question of whether you should buy it is murkier. That's in part because of the hardware, and in part because of the operating system. Because it runs on iOS 9, the iPad Pro isn’t as serious a device as the Surface Pro 4. It means business, but works even better as a premium entertainment hub. It’s the perfect digital coffee table book that just about doubles as a laptop. So long as you can get by with the app-based incarnations of desktop software like PhotoShop and Excel. The iPad Pro is plenty powerful, and it’s plenty big. But to call it “just a bigger iPad” is like calling the Millennium Falcon “just a bigger falcon.” In making it bigger, Apple made the iPad Pro different. This is Cupertino’s attempt to prove a tablet can replace and outgun your laptop. Perhaps more importantly, it is Apple’s best idea about how to give you a tablet that is more than a slightly bigger version of your big smartphone. This tablet does things your phone and your laptop can’t do. Are they solutions in search of a problem? Perhaps. But the iPad Pro is the best tablet, and the best case for tablets, anyone’s ever made. If you need a 13 inch tablet for digital drawing and painting, you already know you’re getting one, but everyone else, we’d recommend trying it out, because this isn’t just a big tablet that could work as a computer, it’s a big tablet that may not adequately match what you’re after. iPad Pro vs Surface Pro comparison: Windows or iOS 9… which tablet is best? When we reviewed the Surface Pro 3 - almost a year ago - we concluded that it was the best yet. It's the most portable of laptops and an acceptable tablet. Nothing has changed with the update to Windows 10. With the iPad Pro, it's the best yet in some ways - it's the most powerful iPad and has the highest resolution screen - but it may not be the best choice for everyone who wants an iPad. Until we've reviewed it we can't come to any firm conclusions but it's likely to be the opposite of the Surface Pro: a fantastic tablet and an acceptable laptop. Apple's giant, big-screen iPad is incredibly impressive, but who's it for? We're impressed by the iPad Pro's processing muscle, its screen technology and the design skills that have squeezed such a big display in such a slim and lightweight package, but there remain many questions - such as the real-world effect of those quad-speakers, and the audience to whom Apple is going to market this device. All of this will become clearer in the coming weeks, of course, and we will update this with our full verdict (and a star rating) once we've spent some serious time with a review sample of the iPad Pro. We can't offer a full verdict on which iPad is better until we've spent more time with the iPad Pro, but we think that the more powerful tablet is going to appeal to a reasonably small number of people who are willing to pay the extra for the additional screen space and more powerful processor. We'll be bringing you a full, in-depth review of the iPad Pro soon and a more detailed comparison between the two flagship Apple tablets will be right here when the iPad Pro launches in November. Apple is blurring the lines even more between what we expect our devices to do and how they do it. While it's unlikely to completely replace the MacBook line of laptops straightaway, we can easily see the device having huge potential for a number of industries. 86% Apple iPad Pro - De ultieme laptopvervanger? 80% iPad Pro - Is een grotere iPad ook een betere iPad? 80% Test : Apple iPad Pro, peut-il vraiment remplacer un PC portable ? Positive: Beautiful design; perfectly assembled; excellent display; good battery life. Negative: Expensive. Positive: Beautiful design; very high-quality display; good performance; stereo speakers; long battery life. Negative: The same camera and fingerprint scanner as iPad Air 2. Positive: Amazing screen quality; excellent performance. The Apple iPad Pro 9.7 is a premium tablet equipped with 9.7 inch Retina display. It comes with an Apple A9X chipset with 64-bit architecture, 2 GB of RAM, a dual-core 2.16 GHz CPU and PowerVR Series 7 12 core GPU. You can select between 32 GB, 128 GB and 256 GB of internal storage. While the screen of the iPad Pro 9.7 is protected with scratch-resistant and fingerprint-resistant glass, it is still comfortable to use. Despite being a tablet, its 12 MP iSight camera is top-notch quality, which makes the Apple iPad Pro 9.7 a device great for photography. It also supports recording 4K video. The secondary camera is a 5 MP camera with Retina Flash to enhance selfie and FaceTime video call experience. To further enhance video calls and recording sessions, it comes with four speakers and dual microphones. Nano-SIM cellular support is also available as an option for connectivity. The Apple iPad Pro 9.7 runs on iOS 9, which is the latest operating system with latest features and security updates. As for color, silver, gold, space gray, and rose gold are available for selection to suit different likings. Smaller, yet powerful! 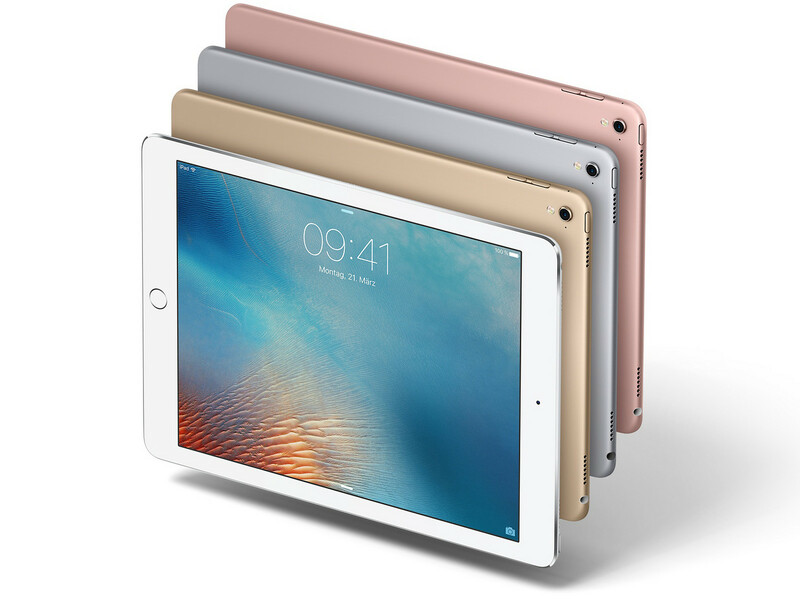 With the smaller 12.9-inch sibling of the big iPad Pro, Apple also offers a strong competitor to the iPad Air 2. We have already reviewed the elegant power tablet with the iPhone camera. Even though it is once again an exemplary product, there is still room for improvements. iPad Pro 9.7 review – the best iPad to date? Thankfully, the introduction of this new tablet means a price drop for the older devices. While we would hesitate to recommend the iPad Air at this point, the iPad Air 2 is still a solid tablet for your basic coffee table companion. 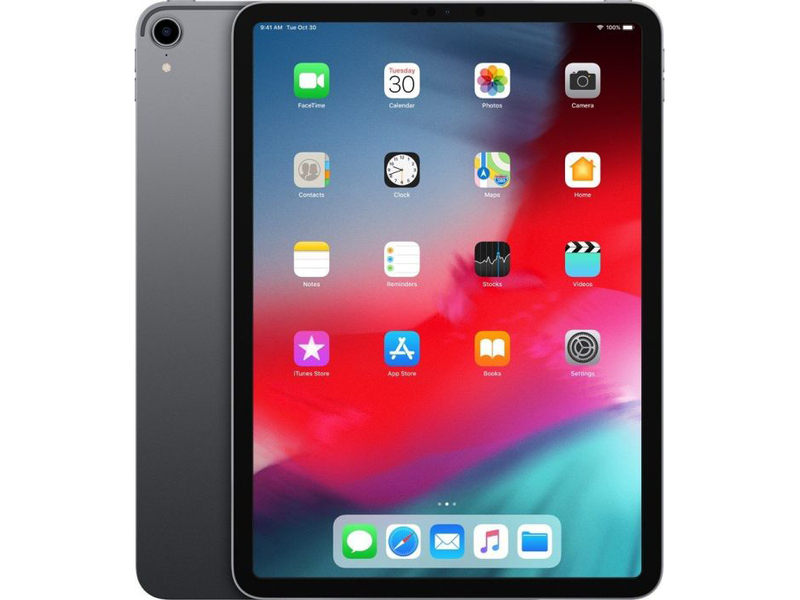 There is no doubting that the iPad Pro 9.7 is a superb tablet thanks to its excellent quality screen, lengthy battery life, loud and clear speakers, high quality selection of apps and incredibly precise Pencil. It’s not a good enough all-rounder to serve as a laptop replacement for everyone though, due to compromises in the design of both of iOS and its optional keyboard cover. If you are using a tablet that is more than three years old, it's time to upgrade to the iPad Pro 9.7-inch. It's great for content consumption and playing games even if it's expensive. The Smart Keyboard isn't for everyonr and feels inconvinient. Overall the iPad Pro 9.7-inch is a great tablet with good battery life, loud speakers and a stunning display. For many, though, a MacBook of any sort is overkill. 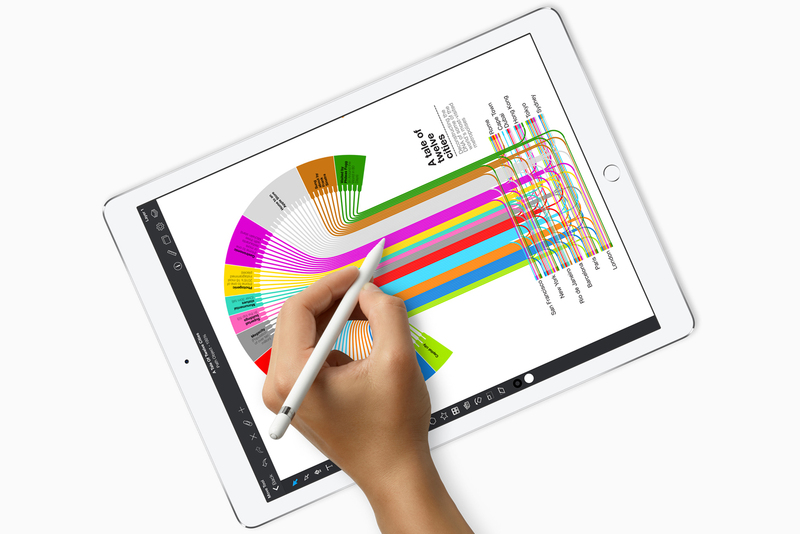 The iPad Pro 9.7 is my pick of the iPad range, and those doing digital artwork, juggling documents, emailing and messaging, and indeed anything that demands they stay perpetually connected may very well find they get everything they need from the tablet, even if they don’t save money in the process. Just think hard about your workflow, and set aside time to deal with a few potential teething pains, before you make the switch. It isn't as all-purpose as the Microsoft Surface Pro 4, which is a great device, but it’s better at being a tablet. It’s easier to chuck in your bag, use in bed, whip out on the train and so on. The Pixel C is the only real Android competitor, but Google’s OS simply isn't there yet when it comes to actually "getting things done". The True Tone display, booming speakers, improved performance and support for the Smart Connector set it apart from the iPad Air 2, and the bump in cost is just about worth it. Apple's investors – and perhaps the company's own pride – want to see never-ending growth in the iPad line, waning tablet demand be damned. So what we end up with is a company reaching more and more, hoping to return the iPad to the glory of its first four or five generations (while, perhaps as a bonus, sticking it to Microsoft by eating into some Surface sales). The iPad Pro 9.7 is a great tablet, the best classic tablet you can buy today, but the new features aren't remotely essential and the 2-in-1 aspect feels a little forced, with software that doesn't fully support the laptop form factor. A great tablet that, for most shoppers, isn't worth its new higher price. Which is the best mid-size iPad? The iPad Pro 9.7 is considerably more expensive than the Air 2 (direct comparisons aren't possible any more, because there are no overlaps between the two devices' storage offerings, but the Pro is £60 more at each point than the Air 2 was at launch), yet there are so many significant improvements that we reckon it's worth it. As usual, however, this depends on your individual needs and tastes. As a result, I can't quite give the 9.7-inch iPad Pro a full five stars, but that still doesn't stop the 9.7-inch iPad Pro from being the best tablet that Apple has ever made as well as a pretty strong contender for the best tablet you can currently buy. It's extremely flexible, too. As a traditional iPad, its power, quality of the screen, speakers and camera simply have no competition at this end of its price range, but the optional Pencil and keyboard can also turn it into a fully-fledged and powerful computer, too. Apple made a fairly big mistake by not upgrading the iPad Air 2 last year but the new iPad Pro 9.7-inch is very much the successor to their premium tablet. It is far more affordable and portable than the full 12.9-inch model while even getting some better features such as the camera. The problem is that it still can't replace a laptop and is priced nearly as much making this more of a niche product. Apple unveiled a new mid-size iPad at its 'Let us loop you in' March press event, as was widely expected, but what we didn't expect was for this to be an iPad Pro. Rather than calling this the iPad Air 3, which it logically and visually appears to be, Apple is presenting it as a shrunk-down version of the 12.9in iPad Pro - and thereby attempting to position the new 9.7-inch iPad Pro as a work device suitable for replacing a laptop, and targeted particularly at designers and illustrators on the go. There's a question over whether or not the iPad Pro 9.7 is "innovative," and I think the question should be posed differently. If the niche-focused iPad Pro 12.9 didn't come out six months ago, would this new iPad be "innovative?" I think there's enough here to justify that label. It has the looks with its True Tone display and wider color gamut technology, the sound with its four booming speakers, and the feel with its pressure-sensitive Pencil and its Smart Keyboard via the Smart Connector. It's all faster performing, there are more storage options and the 12MP is camera phone-worthy. Should you get one? If money is not an issue, then yes. Just bear in mind that the iPad Pro 12.9 has greater productivity potential due to its larger size. And if you’re really serious about productivity, consider taking a look at the Microsoft Surface Pro 4, which has a well-made physical keyboard and runs a proper, desktop-grade OS. And if money is tight, take a look at the iPad Air 2. It is $200 cheaper as of this writing, which makes it a worthy alternative if you’re not interested in the Apple Pencil or the Smart Keyboard. Can it really replace your laptop? For a lot of people, the 9.7-inch model is going to be the most compelling iPad Pro, and it's easier to see why Apple has come out with it - the tablet is smaller, more portable and less expensive than last year's iPad Pro, while keeping (and in some cases improving) all of the best features that make it a more premium product. The iPad Pro 9.7 isn't just a slightly smaller version of the original Pro tablet. It's a more portable tab that boasts the same great performance in a much more comfortable-to-use form, at a much lower price. We weren't kidding when we said that the Pro just killed off the Air series; say hi to the new king of iPads. Despite Apple’s hype, for most people the iPad will be a second device, rather than the only device. But Apple has created a device you’ll want to spend more time with, one that makes your laptop look and feel clunky and old-fashioned. The increasingly rare times when you have to use a laptop will make you feel disappointed and eager to get back to the iPad. This is a tablet you’ll want to use more of, and there’s no higher praise for any piece of technology than that. But if you like the idea of a tablet that allows you to be more creative or productive, the Pro 9.7 is well worth the extra outlay. It might not replace your laptop, but it can stand in for it when you need it to, and it’s a far nicer, more natural device for reading. And isn’t reading what most of us do on our tablets most of the time, whether that be web pages, books or magazines? Steve Jobs once proclaimed that the “post-PC era” was here, with tablets ushering in a new feature with one where work and play could be carried around in a device that wasn’t really all that computer-like, so to speak. Five years on from that comment, it’s hard to see that we’re totally “post-PC”, especially as tablet computers start to take on the appearance of PCs. We still need keyboards — we don’t just need them, we want them — and we still like mice, and so while we’re moving beyond the frame of what constitutes a PC, we’re still also there. If you own an Apple iPad, statistically, the odds are you own an iPad 2. There's no shame in that. Your four-year-old tablet is probably on your coffee table, or next to your bed. Maybe it's in your briefcase, full of movies for your flight tomorrow. Perhaps you're thinking about upgrading to the new 9.7-inch iPad Pro. There are many new features (and limitations) that only show up in the iPad Pro. Here's what you should know. For professionals looking for a grab-and-go tablet that can handle their workload -- and plenty of fun on the side -- the 9.7-inch iPad Pro is the tablet to buy. At a relatively affordable $599 ($847 if you get the keyboard and Apple Pencil), you get a sleek design, a stunning display, strong multitasking abilities and stellar battery life. There are some subtle differences like the Rose Gold option, "Hey Siri" and the camera bump but if you're going to spend £150 on the new iPad Pro instead of the iPad Air 2 it's got to be because you will make use of the better screen, extra processing power, more storage and the way it's setup for productivity. And that's with the additional cost of the Smart Keyboard and/or Apple Pencil. If you're just looking for a decent tablet for pleasure, the iPad Air 2 will suffice. 100% Apple iPad Pro 9.7"
Schlägt das neue iPad sogar das MacBook? Positive: Excellent autonomy; very good performance. Positive: Slim and light; good performance; good display. Positive: Stunning screen; great functionality; excellent mobility. Negative: Expensive. Positive: Powerful SoC; good camera; stereo speakers; support for stylus and keyboard cover. 80% Apple iPad [TEST]: Er den billige iPad god nok? Tablets these days seem to narrow down to either Windows 10 or iOS based devices ignoring Android in the dust and probably rightfully so. With WWDC 2017 come and gone let’s take a look at the new iPad Pro 10.5-inch. What’s not to love with the slightly larger screen from the iPads of past, while 9.7-inches to 10.5-inches may not seem like a big change, it certainly is if one were to compare the bezels on the 10.5-inch versus the 9.7-inch model. Naturally apart from size what else has Apple got to offer? For starters, the display panel is now a 120hz based panel which might not seem like a lot to most people but sure has some benefits with Apple touting a reduction of lag when it comes to input, more so when used in combination with the Apple Pencil. Especially for creative users or even frequent note takers the higher refresh rates allows users to experience a somewhat similar experience to either drawing on a canvas or even simply writing on a piece of paper, only that you’re doing all of that on a tablet. Apple calls this feature ProMotion, while the panel allows for higher refresh rates it also allows for lower refresh rates depending on use case, for example if you’re reading an ebook, the panel dynamically reduces refresh rates which allows the Ipad to save on battery power or while you’re watching a video the panel will dynamically try to match the framerate of the video. The new LCD panel is also quite bright rating in at 600 nits, this allows for a better outdoor viewing experience. The new A10X Fusion chip is even able to compete with some of Intel’s notebook chips, with all that performance users can expect better multitasking experiences although it still remains a fact that this is a tablet and isn’t going to replace your mainstay notebook or desktop devices. One notable upgrade is its main camera at 12 megapixels can shoot native 4K footage although using the Ipad Pro 10.5-inch as a camera still makes you look pretentious but at least the picture quality is superb. While iOS 11 isn't set to launch till Fall of 2017 even in iOS 10 the Ipad Pro 10.5-inch still performs similarly well as its bigger and smaller cousins. In terms of chassis construction, the Ipad Pro 10.5-inch hasn’t changed in design with its single unibody aluminium shell we’ve all come to expect. Moving on to sound see’s the return of the quartet of speakers equipped on previous Pro models. While they aren’t quite loud to fill a room, they do at least offer a pleasant listening experience especially when watching movies. Lastly as this is a tablet battery life should be mentioned, generally Apple’s claims tend to be on the conservative side with Apple claiming up to 10 hours while watching movies or on Wi-Fi which is more or less on the mark with real-world tests coming in at 9 hours 40 minutes. Which is slightly longer than its predecessor, this is quite impressive as generally most of Apple’s portable devices do score quite well with battery life giving this device it's worthy applause. Naturally in order not to oversell Apple products the only thing holding this device back is its price. So, should users should either consider the cheaper Ipad if it's only to serve as a general device or “I am burning a lot of money hole in my wallet ”. Positive: Nice display; good cameras; decent speakers. Negative: Poor connectivity; slow charge. Positive: High autonomy; large size; excellent display. Negative: Uncomfortable keyboard. Positive: Powerful hardware; nice display; good speakers. Negative: High price. Positive: Solid workmanship; excellent display; powerful hardware; good speakers; long battery life; nice cameras; good connectivity. Negative: High price; slow charge. Positive: High performance; solid workmanship; comfortable keyboard. Negative: High price. Positive: Elegant design; fast system; powerful hardware; excellent speakers. Negative: High price. Positive: Powerful hardware; large screen; excellent display. Positive: Solid workmanship; powerful hardware; high performance; excellent display; comfortable keyboard. Negative: High price. Positive: Premium design; nice display; excellent cameras; long battery life. Negative: Average performance; poor connectivity. Positive: Nice design; high performance; excellent cameras; good connectivity; powerful hardware. Positive: Excellent display; good cameras; nice performance. My gut feeling is that the iPad Pro will become the device it aspires to be when iOS 11 rolls into town. For now, it remains a beautifully designed compromise, meaning it still represents the 2-in-1 market’s struggle to define itself. 80% Apple iPad Pro 12.9 review: Back to the drawing board? Apple's most powerful tablet just got an energy boost - it's still expensive, but the improvements to the screen and internal performance make this a very attractive tablet indeed. My gut feeling is that the iPad Pro will become the device it aspires to be when iOS 11 rolls into town. For now, it remains a beautifully designed compromise, meaning it still represents the 2-in-1 market’s struggle to define itself. The large size won’t suit everyone, but there’s a smaller size available. Even for casual users there is attraction in the large display and video playback; Apple has managed to evolve iOS just enough for it not to always feel like a ridiculously large iPhone. Yet the ‘pro’ aspects of the Smart Keyboard and Pencil are, frankly, essential to the full enjoyment of the iPad. You need both, but the curse of this product is that you don’t necessarily need any of it in the first place. For those that do, the iPad Pro comes highly recommended. For everyone else, can you afford the luxury? A previous version of this article said that the new A10X chip was 30 percent faster than the A10 chip. It has been corrected to state that the A10X chip is said to be 30 percent faster than the A9X chip. A brilliant iPad that takes the devices into a new realm. We've loved using it, but just make sure you're ready for the larger size and weight. 80% iPad Pro 12.9 po, quand la tablette se prend pour un ordinateur ! Positive: Excellent cameras; long battery life. The release of the third generation of Apple’s huge tablet has coincided with a complete redesign that shares more design cues with the new iPhone XS series than classic iPhones. Apple has equipped its most-expensive tablet with its most-powerful ARM SoC, Face ID, high volume storage options, support for a new Apple Pencil and much more, including a massive mark-up in price. Positive: Good price; nice performance; decent hardware; solid workmanship. Positive: Premium design; powerful hardware; nice display; high autonomy; decent connectivity. Negative: No headphone jack; high price. Positive: Beautiful design; good face ID; nice performance; smart stylus pen. Negative: No headphone jack. Positive: Modern design; support USB-C; excellent Retina display; powerful processor. Positive: Beautiful design; frameless; good face ID; high performance; smart stylus pen. Negative: Relatively high price. Positive: Impressive design; smart stylish design; solid workmanship. Negative: Relative heavy and bulky. Positive: Premium design; solid workmanship; powerful hardware; high performance; long battery life. Positive: Elegant design; compact size; bright display; powerful hardware. Negative: Relatively high price. Positive: Elegant design; nice display; good performance; decent battery life; USB-C. Negative: High price. The new iPad Pro is here with a fresh redesign, and it wants to prove that it can handle a full workday. This promise comes with caveats though. We will be covering the smaller 11-inch version in this review. Imagination A9X / PowerVR GT7xxx: 12-cluster PowerVR Series 7XT graphics card and one of the fastest tablet GPU in 2015.Imagination A10X Fusion GPU: The Apple A10X Fusion / PowerVR graphics card is integrated in the Apple A10X Fusion SoC (benchmarks and specs) that can be found in the Apple iPad Pro from 2017. Most likely based on PowerVR technology. According to Apple it integrates 12 cores (compared to the 6 cores of the A10 GPU) and is therefore significantly faster. Apple A12X Bionic GPU: Integrated graphics card offering 7 cores designed by Apple and integrated in the A12X Bionic SoC.» Further information can be found in our Comparison of Mobile Graphics Cards and the corresponding Benchmark List. A10X Fusion: The Apple A10X Fusion is a system on a chip (SoC) from Apple that is built into the 2017 iPad Pro models. It integrates six 64 Bit cores that are divided in two clusters. Three high performance cores are clocked at up to 2.39 GHz. The three power saving cores are used for non demanding tasks. It looks like only one of both clusters is able to run at a time (therefore the apps see only three cores). The principle is similar to the first generation of ARMs big.LITTLE concept.A12X Bionic: System on a Chip (SoC) from Apple that integrates a processor (eight 64 Bit cores, 4 performance and 4 power saving cores). The A12X Bionic is manufactured in the brand new 7nm process at TSMC and is up to 95% faster than the previous A10X according to Apple. 88.13%: This is a good rating above average. Nevertheless you should not forget, that 10-15% of all notebook-models get a better rating.» Further information can be found in our Notebook Purchase Guide.